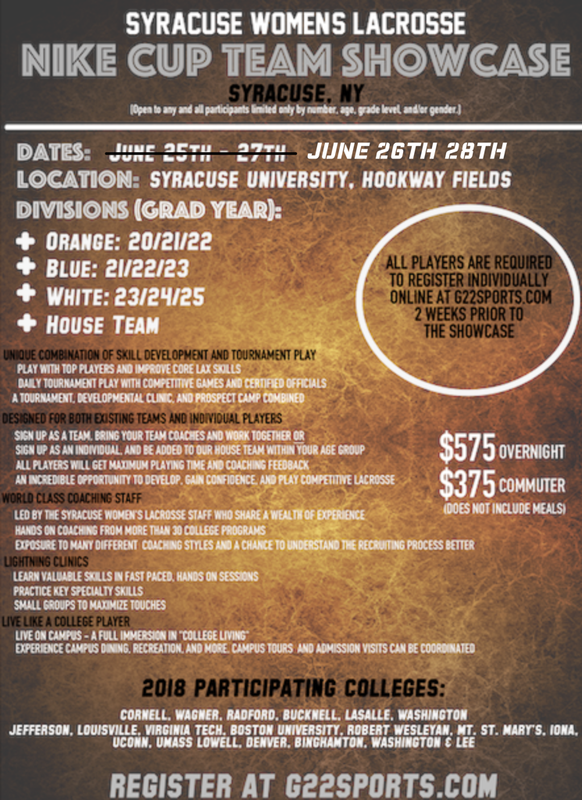 Dates for Nike Cup will now be June 26th - 28th! Camp this year will be 3 days but here's a sample schedule from the past that will help you get a feel for the timeline. A tournament, development clinic and prospect camp all combined together! Low pressure, high visibility opportunity for HS players at all levels. 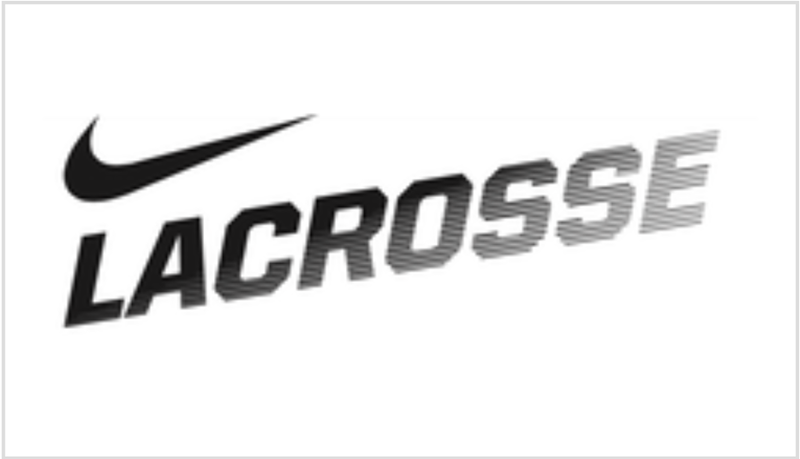 Don't have a team and want to sign up for Nike Cup? Sign up with our house team! We offer teams at every division. Sign up through our registration and list, HOUSE TEAM, as the team you'll be attending with. If you're coming with a friend, send us an email and we can room you together! Or, if you're local commute from your house at the daycamper rate. Questions and roommate requests go to Chelsea at, ccstrode@syr.edu. For an additional $150 Upgrade your Camp Package! STX Syracuse Crux 600, Exult 600, or Nike Lunar with custom stringing.